I wrote these after our son unexpected stopped by our home. He attends a nearby university and we hadn’t seen him in a little while (about a week, I know that is not long, but it still feels long when you enjoy your children). Our conversation volleyed back and forth like a good tennis match. 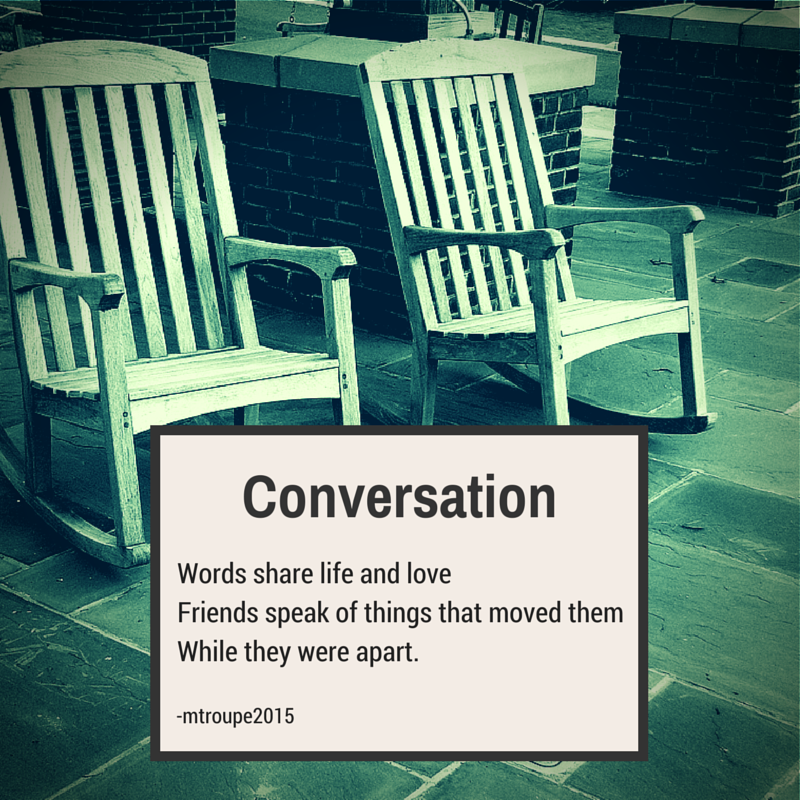 These poems are as much about conversation as friendship. Is there really much of a difference?